Last week I was sitting in the bar at the Cameo Cinema in Edinburgh, enjoying a glass of wine, when my drinking companion pointed out that she suddenly felt special. On every table in the bar was a small glass vase, inside of which was a yellow gerber daisy. The vase on our table had two. It was a relatively warm day, and since spring tends to come later than usual in Edinburgh, these little flowers were a nice touch. The bar itself was fairly crowded for a weekday afternoon. The King and I, starring Yul Brenner, was playing on the television. The sound was turned off. I commented to my companion that on certain occasions, like this one, I like to imagine the world (everything) as part of some great novel. In moments like these it almost feels like you can see the crossover between fact and fiction, as if the world suddenly seems to have been quite specifically designed, ‘put together’ for metaphorical effect. On the table behind us, against the wall, two men were engaged in a heated conversation. It wasn’t an argument taking place between them, but rather one they were sharing about something else. They were both sitting forward, arms resting on knees, their language peppered with indignant terminology. “It’s not fair,” said one. “It’s criminal,” said the other. Their conversation carried on like this for a while, until their raised voices began to melt into the background. However, something interesting about them stood out to me, something that prompted my seeing our surroundings through the novelist’s eye. Everything about the scene within which they were acting appeared to compliment their shared mood. Their body language was rigid and combative, the language in their discourse was atonally violent. They seemed to be heating the room, and I got the sense when looking at them as if they were somehow marginalised to the back corner, isolated in their misery by their own choosing. They looked like characters, constructed for a purpose, like representatives of discomfort or despair or hardship. They were almost cliche, like action figures of a novelist’s tableau. On their table, the yellow gerber daisy was wilted and dead. This week I submitted my doctoral Thesis. Roughly 90,000 words of four year’s research. After I submitted the copies necessary to the School of Divinity, I passed around my own copy at the bar. At dinner that night, it sat on the table at a spare place setting, like an empty plate waiting to be bussed away. This felt like another one of those occasions where my life felt like a novel, and it reminded me about how I found myself writing about fiction. 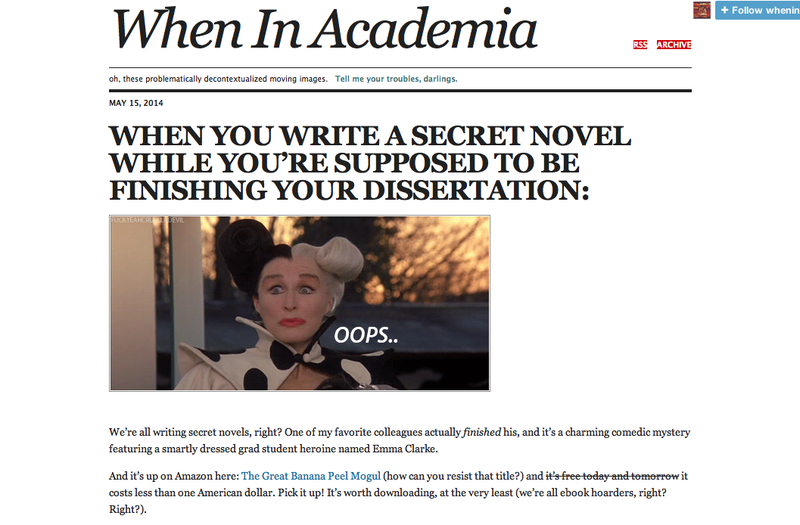 At some point in the early stages of my PhD I suddenly decided I wanted to do something with fiction. As I had come to Edinburgh to study Atheism, combining these two interests seemed like a fun idea, that made no real sense. It took a few years to figure it out. Originally, I had come to do an ethnographic study of the Humanist Society of Scotland, but soon my interest in this subject waned as I began to plot out how I might turn that into a Thesis. As well, because Atheism is such a new topic of interest in the world of academia, I found that there wasn’t much of a foundational base in the ‘anthropology of Atheism’ on which to build my own. Defining the term was bad enough, but defining how we might study individuals who use ‘Atheist terminology’ in a broad and abstract manner is even worse. So, instead of following what some might consider the ‘academic route,’ I turned toward fiction. On so many occasions over the years I’ve found myself either taking or tutoring courses that use a novel as a source for the subject being taught. I once took an American history class where every text was a novel. We read Baum’s The Wonderful Wizard of Oz to discuss the political and civic alterations taking place at the turn of the century; Steinbeck’s The Grapes of Wrath to discuss the Great Depression; Yate’s Revolutionary Road to discuss the lost sense of identity discovered by many during the mid to late 1950s; and O’Brien’s The Things they Carried to discuss the harsh realities of the war in Vietnam. Here in Edinburgh, we’ve had some great success with our course on Religious and Ethical Debates in Contemporary Fiction, which I have written about a bit already. Not only did I want to use fiction in this same way, I wanted to elucidate a deeper meaning about why we might use the novel in this capacity, as well as how that might be accomplished. I took as my focus the use of a novel (two, actually) as an ethnographic text. This required a number of establishing details, which I separated into three ‘pillars:’ a discussion on how ethnographic texts are constructed, and the literary focus adopted into that methodology in the 1980s via the sorts of theoretical arguments started by Clifford and Marcus’ Writing Culture; a discussion about how novels are critiqued within the context of specialised fields in Literary Theory; and the manner with which we approach concepts, especially when they are attached to religious identity construction, within the context of an anthropological analysis. By marrying the first two into a methodological approach, that is then theoretically supported by the third pillar’s focus on the concept ‘Atheism,’ I created a means with which we might read a novel ‘ethnographically.’ I called this ‘Ethnographic Criticism.’ I’ll likely write much more about this, and how it is done, in future posts. While my use of Ethnographic Criticism seemed rather successful in regard to using fiction as an ‘ethnographic source’ of British Atheist identity (though any certainty about that must wait until after the Viva), there arose in the process a rather precarious defect. This has to deal with the role of the author in the construction of an ethnographic text, and how our acknowledging that role shapes the way in which we read his or her ethnography. 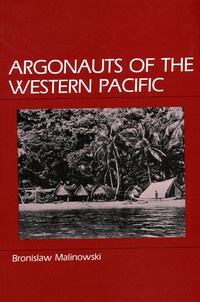 For example, if an ethnography is written in an omniscient voice, adopting the strict objectivity we find in classic texts like Malinowski’s Argonauts of the Western Pacific, the culture we read there is presented in a manner quite different from an ethnography written from a reflexive first-person perspective, such as we find in the ‘ethnographic novels’ of Michael Jackson, Timothy Knab, and Richard and Sally Price. In the latter this is greatly determined by what Geertz (Works and Lives, 1988, 8-9) refers to as the ‘signature of the author,’ or ‘author-function,’ which he borrows from Foucault. Recognising the author’s role in writing the text, and thus in also recognising that the text has been ‘authored,’ means that our perception of the culture within the text is dictated by our acknowledgement that it is an artifice, designed and structured by an intermediary. 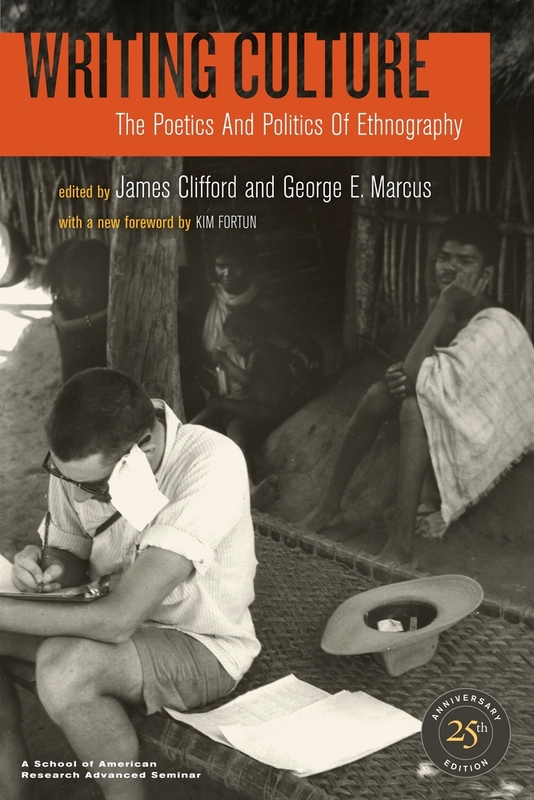 Thus, when it comes to reading a novel ‘as ethnography,’ our perception of the culture being represented is equally dictated by our acknowledging the author’s role in writing the text in the first place. Where we might simply look at how the author (let’s say Ian McEwan) designed his novel (let’s say Enduring Love) with an intention based on his own discourse, context, and opinions, this is much less simplistic when we consider the ‘author’s signature’ in a novel written from a first-person perspective (such as in Enduring Love). In other words, where reading a novel as ethnography would require our acceptance and comprehension of McEwan’s role in shaping it from his imagination, when written from a first-person perspective, that novel ceases being written by McEwan at all. That is, it becomes something more akin to the first-person ethnographic novels cited above. In this way, it is no longer a novel. It becomes an ‘auto-ethnography,’ a text written by an individual within the context being depicted, who is writing about his or her own culture. Thus, McEwan ceases to exist. The text we are reading is now a text written by an individual who might now be perceived as ‘actually’ existing. Which also means that the novel equally transmutes out of the realm of ‘fiction.’ This has repercussions on a number of levels. If the novel ceases being a novel, then Ethnographic Criticism isn’t actually reading a novel ‘ethnographically.’ Likewise, if McEwan ceases being the novelist who created the text, then the lead character narrating his or her story is now suddenly ‘real.’ Brought together, these two issues determine even larger ones concerning how we perceive texts (like ethnographies) as representing fiction, non-fiction, or something somewhere in between. In this way, we might actually start to believe, because a ‘text’ in each and every instance is something both made-from (designed via research and data) and made-up (invented from one’s imagination), that everything is fiction. This is, in essence, part of the focus of my Thesis. Again, I’ll discuss more of this later. Next week two friends of ours will be defending their Theses. I find myself disagreeing with this now. Four years of reading and writing and thinking about the thin pragmatic line we maintain between fiction and non-fiction has brought me to a somewhat vague conclusion. Everything, I’d argue, is fiction. This doesn’t mean that everything is the product of imagination, solely made-up and invented with no connection to what is ‘real,’ but it also doesn’t mean that imagination is entirely left out of it. When we sit down to write a wholly objective text, we are still imagining how it will take shape. It’s still designed. It is still an artifice, no matter how empirical we are about its creation. A thesis is no different. 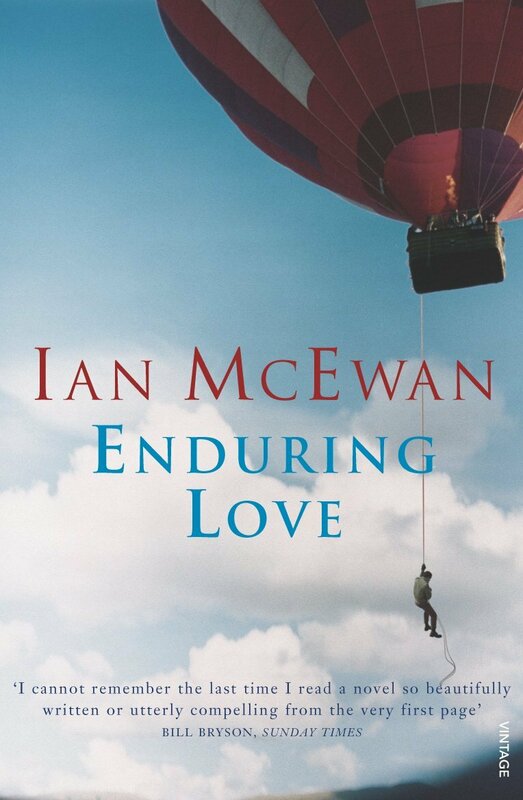 A thesis is, just as much as McEwan’s Enduring Love, a novel. We’re all novelists, merely by the fact that we are writers. Our novels are a particular genre. So, the idea of a secret novel is not that secretive at all. Here’s an example. A good friend of mine (Jonathan Tuckett) just successfully defended his thesis and passed his viva. 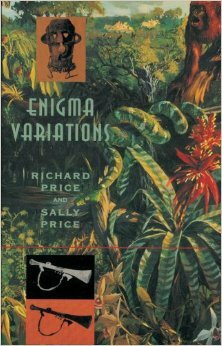 His focus was on phenomenology, and the text he produced was very ‘academic.’ Yet, it was designed to tell a particular story. On one level it told the story of his research, defending his argument, a narrative driven by a plot that came to a particular conclusion. 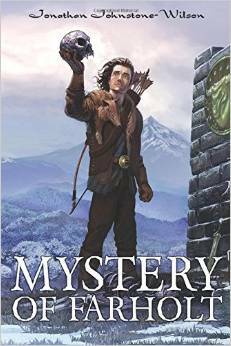 On another, it told the story of his research, of his efforts in proving his knowledge and expertise on the subject. I use him as an example because his writing works well for my argument. Both of the texts produced by Jonathan are novels, designed and created by an individual employing the art of writing to tell a particular story. As well, the fact that each represent a plotted narrative designed for a particular purpose furthers my argument that everything is fiction. How we determine the meaning of that term in relation to the ‘fiction’ of Jonathan’s thesis and The Mystery of Farholt, is merely a difference of genre distinction. Therefore, I will conclude here by once again arguing that, because we are writers, and because what we are writing is fictitious in its being written, we are all novelists. There’s nothing really secretive about that. In fact, when you look around, there’s usually good evidence for the idea that not only is everything fiction, but that we are all of us living within novels of our own devising.